How Long Will The Proform Smart Power 1295i Last? Treadmills in this price range show a prime example of the growing divide between technology-driven models and those that are structurally driven. We like to recognize the attempts to add updates to treadmills that flow with the convenience of the times. Proform's Smart Power 1295i is a prime example. While the build is less durable than say a Sole or Bowflex treadmill, the significant amount of programming at this price range help to show an effort to add value. In order to award this effort, we have named the Smart Power 1295i our Second Place 2019 Best Buy Winner in the $1,300 to $1,499. The build for the Smart Power 1295i is less than impressive as it is one of the least durable out of our top four. Thus, we are only recommending this treadmill for a heavy walker to a moderate jogger. Additionally, this treadmill has the walking area of an $800 dollar machine with a twenty-inch belt. While this is not a deal breaker, it does not reflect well on the product when the cut corners are obvious. With that said, Proform has equipped the Smart Power 1295i with thirty-four built-in workout programs and granted a one-year free iFit subscription. This is almost equivalent to new Altimas having backup cameras. Hopefully, Americans have not lost the ability to back up a simple car by simply turning their head. But, Nissan has recognized the want for a backup camera for the sheer convenience of it. Likewise, Proform has recognized the want to surf the web while running- an act that probably requires a lot of grace. Thus, if your email simply cannot wait for the hour or so that it takes for you to get in your daily exercise, then the Smart Power 1295i is a good value for the price. Though you may not be able to train for a 10k, you will be able to share your workout with compatible devices in an instant. We do, however, have one drawback with Proform’s programming updates. While the iFit Coach provides a good deal of benefits to the tech-savvy exerciser, a user who does not look forward to paying roughly $40 dollars a month for a sweaty meathead at their fingertips may not be as interested. Though Smart Power 1295i owners receive a free year subscription, once that year is up and you can't justify the monthly fee, you are left with a sub-par treadmill with programming features that you can't even use. Maybe something to keep in mind. Still, if you do enjoy the extra technology, then the Smart Power 1295i has an added amount of value that others do not. Outside of the tech perks, this treadmill is relatively standard. Backed by a decent five-year parts and one-year labor warranty, the Smart Power 1295i comes with a 12mph speed capability, fifteen percent incline capacity, two heart rate grip handles, and the ability to fold. We have yet to publish a review on this particular model of treadmill. 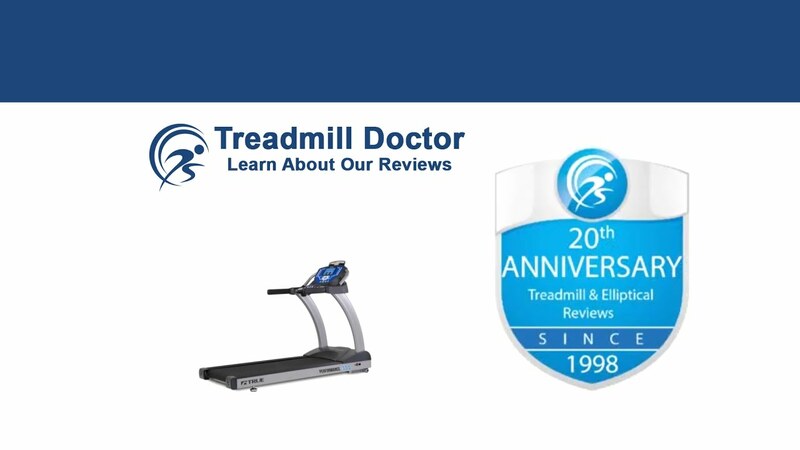 But we encourage you to look up our reviews on Proform to become familiar with the brand as well as reviews on treadmills in this price range to help narrow your search. Proform did not strike the balance between style and substance with their Proform Smart Power 1295i. The build is of middling quality while the number of programming features distances this treadmill from its competition. Despite this imbalance, we do recognize Proform's efforts to cater to the tech-savvy market and have awarded this effort to add more value. Thus, the Second Place 2019 Best Buy Winner for the $1,300 to $1,499 dollar category is a respectable machine for a heavy walker to a moderate jogger who enjoys the compatible programming.